Today we are not going to Deer Valley Utah for business meetings. Today we are driving to Portland Maine to see what it is all about and possibly sample some of its famous microbrews. 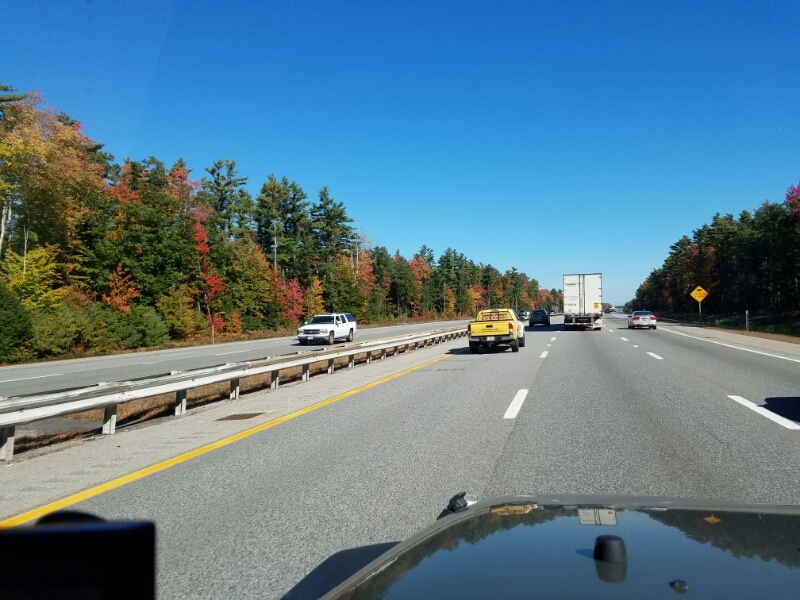 Trees along the freeway have really started to change color! Finally! If only their non-highway cousins could catch up! Pretty much everywhere else is still green. Still, it was nice to see the fall foliage we’d heard so much about, even if it was flying by at 70mph. Now, a few fun facts about Portland to keep us busy on the 30 minute drive from Wells. Fun Fact 1 – yes, the city in Oregon was named after Portland Maine. It seems the founders of Portland Oregon, Francis Pettygrove and Asa Lovejoy, both from New England, wanted to name the new Oregon city after their respective hometowns. Neither could agree to the others choice, so they decided a coin flip was the most fair way to settle the decision. Pettygrove won, and Portland Oregon was born. If the flip had gone the other way, Portland Oregon would today be called Boston. 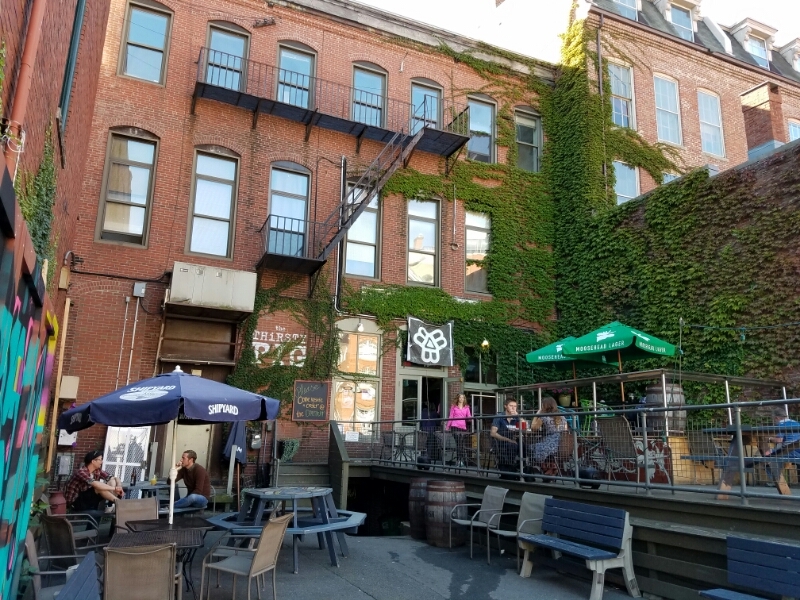 Fun Fact 2 – Portland Maine is the microbrewery capital of the USA, and in fact the entire world, with one microbrewery for every 4000 citizens. 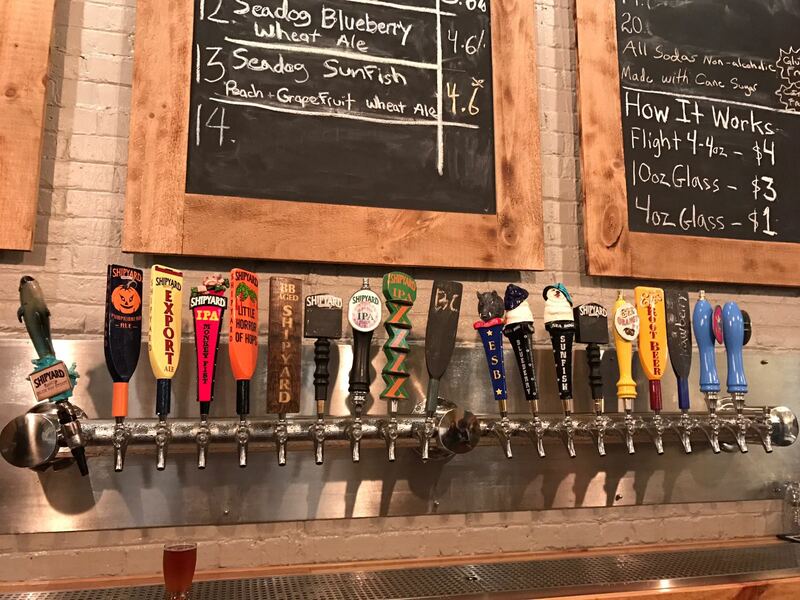 Over 25 microbreweries currently operate inside city limits. This is somewhat ironic because the first Total Abstinence society was formed in Portland in 1815. By 1851 they had convinced Maine to go totally dry. Maine became the first state to do so. Temperance laws slowly passed in other states. They became known as “Maine Laws.” As a result Portland did not have a drop of (legal) liquor until US Prohibition was repealed in 1934. I wonder how the temperance movement founders would feel knowing their prized dry town has made a complete about-face, actually becoming THE beer capital of the entire nation? I guess Portland’s citizens are making up for lost time. Portland of today is a bustling city which is officially home to around 67,000 people. However, that number is very misleading because the Portland metro area is the home of about half a million people. 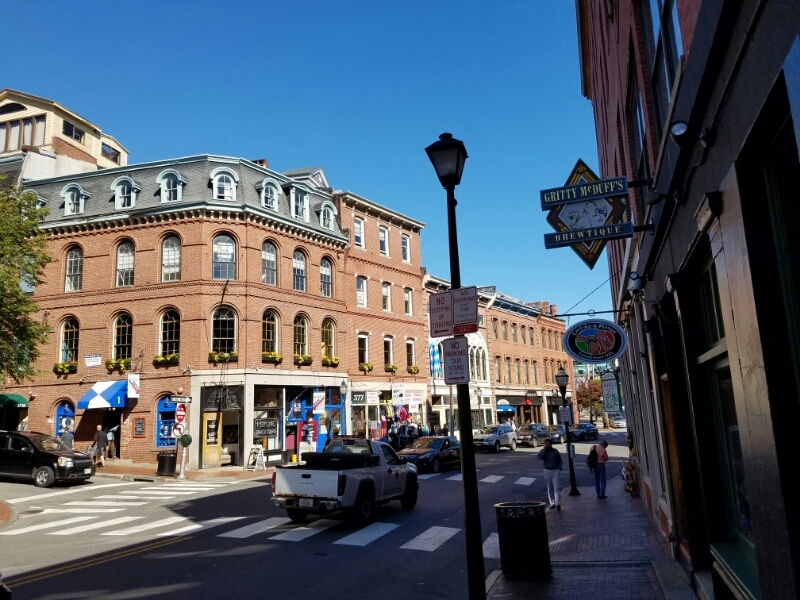 Fun fact 3 – Half of Maine’s entire population lives in – or around – Portland. Maine could be divided in half. Portland in one half and the entire rest of the state as the other half. Which makes the choice of Augusta as Capitol even more confusing. Not being the capitol city has not stopped Portland from becoming a very hip place. In May 2016, Thrillist Magazine ranked Portland the “best city in American to spend a weekend in.” After spending a few days here, I couldn’t disagree. Most tourist activity happens around the Old Port area. Cruise ships regularly arrive here and disgorge thousands of passengers. Those who don’t go to Kennebunkport on a tour bus walk the streets of Portland. 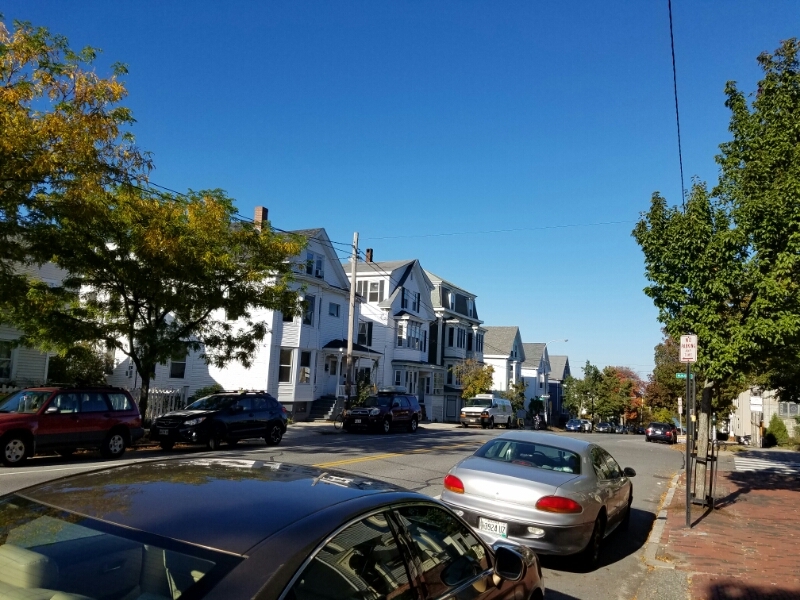 While that sounds like it would make Portland just as busy as Kennebunkport, Portland is large enough it can absorb the tourists much more effectively. Oh, there are still tourists everywhere, but its not a Disney-seque crush of them like Kennebunkport. 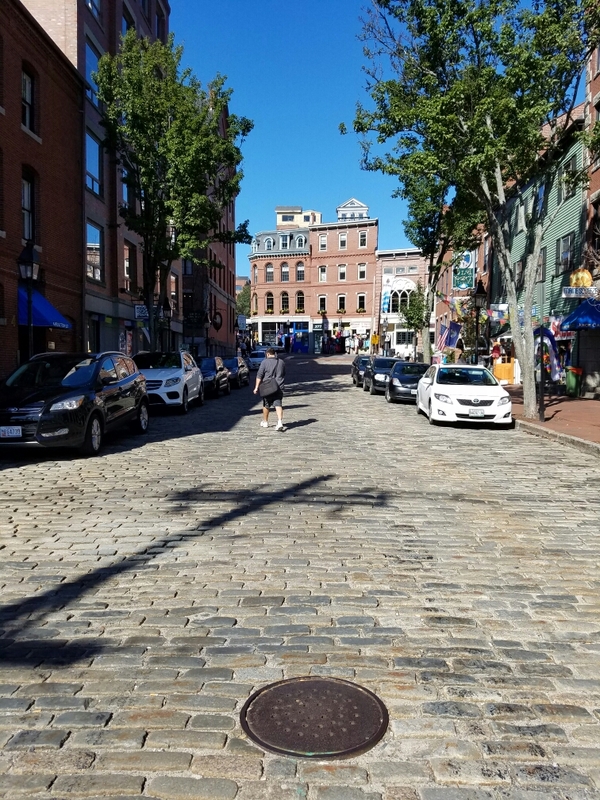 The Old Port area is very historic with cobblestone streets and red brick buildings everywhere. I was actually reminded of the Upper West Side in New York City, and perhaps also of parts of the Lower East Side too. Portland is very much a microbrewery scene as we have already established. It is also a foodie scene. Pubs and restaurants are everywhere, luring tourists and locals alike with fresh food and the latest local brews. Much like New York, and refreshingly unlike cities including LA and Houston, people actually live above the restaurants and shops. It is hard to describe the difference between a real city like Portland or New York City and a commuting town with businesses in the center but most people living in the suburbs like Los Angeles or Denver. Oh, I’m sure someone just said “wait, downtown Denver now has some apartments.” It probably does. But it is not the same as an actual city. I think the difference is whether the city center was built before – or after – the automobile. Little cafes, coffee shops, and restaurants are tucked into old warehouses and behind alleyways. Very much like NYC. One of the most fun and most original is the Holy Donut. 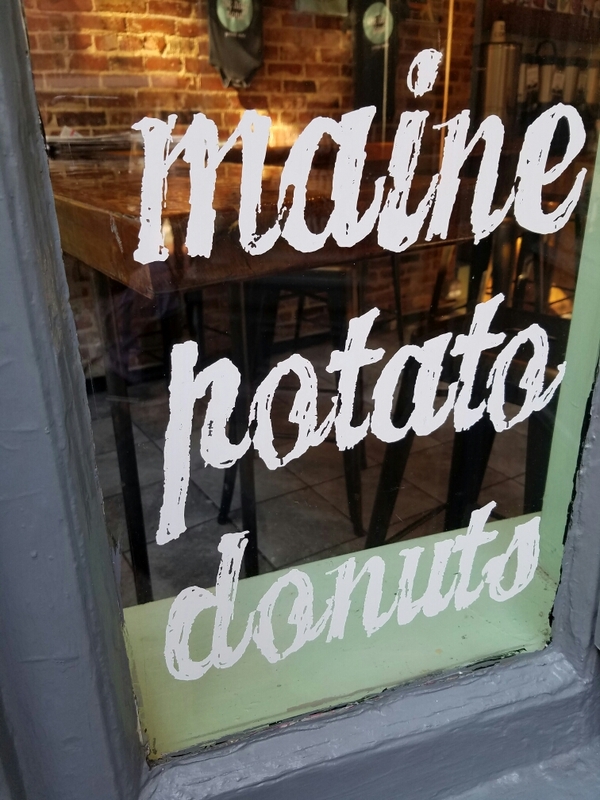 Holy Donut makes unique donuts with potatoes. Not potato flour, mind you. Plain old mashed potatoes. 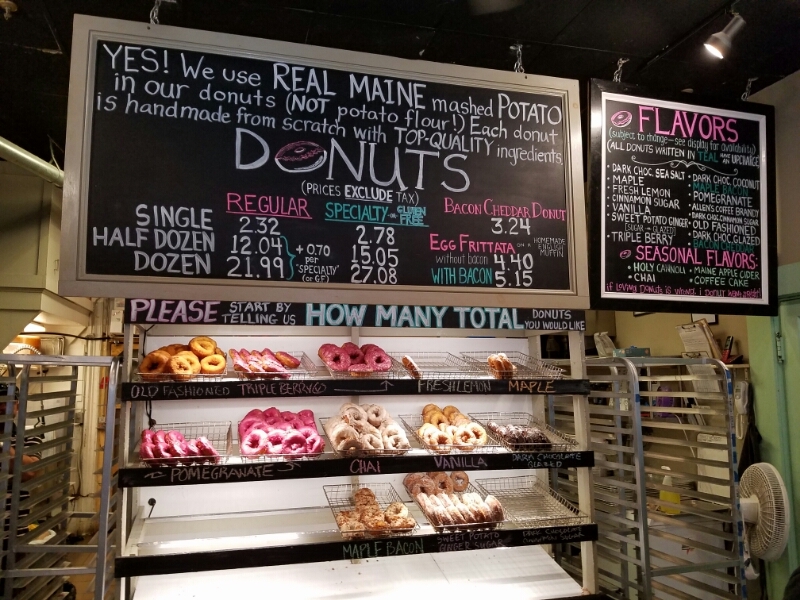 Holy Donut offers 19 flavors of donuts including bacon cheddar, maple, fresh lemon, dark chocolate with sea salt, potato ginger, and triple berry. The donuts are very dense, not as sweet as a “regular” donut, and absolutely full of flavor. Most donuts seem to use the donut as a delivery vehicle for the flavoring and glaze. Not these. Even a plain potato donut is rich with flavor. 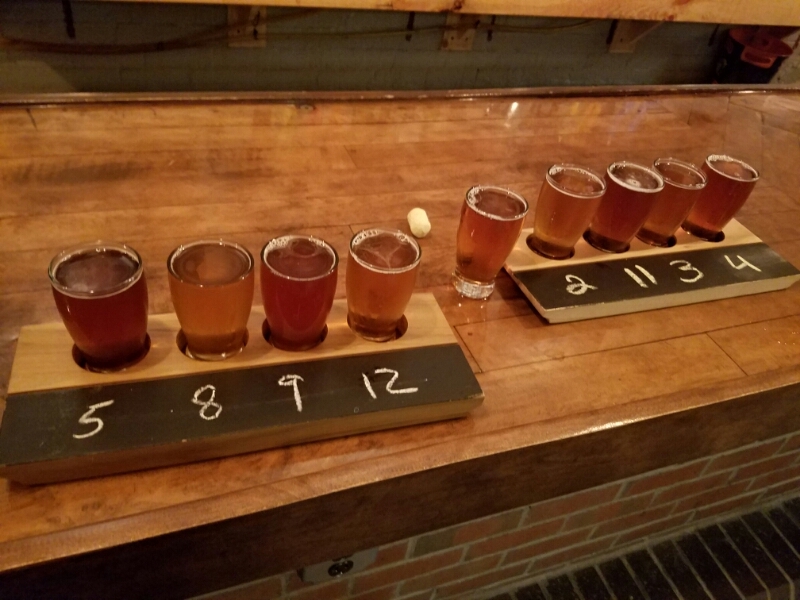 After sampling the donuts, we walked to the Shipyard Brewery and sampled their various brews. We were able to taste 9 beers in all, ranging from heifiwizen to pale ale to IPA to pumpkin. Pumpkin sounds nasty but it was delicious! Our 9 samples were not a full range either. Shipyard makes 20 different brews and all but one were available for tasting. Sadly, we did not have the stamina to try all of them. I guess we will just have to go back! 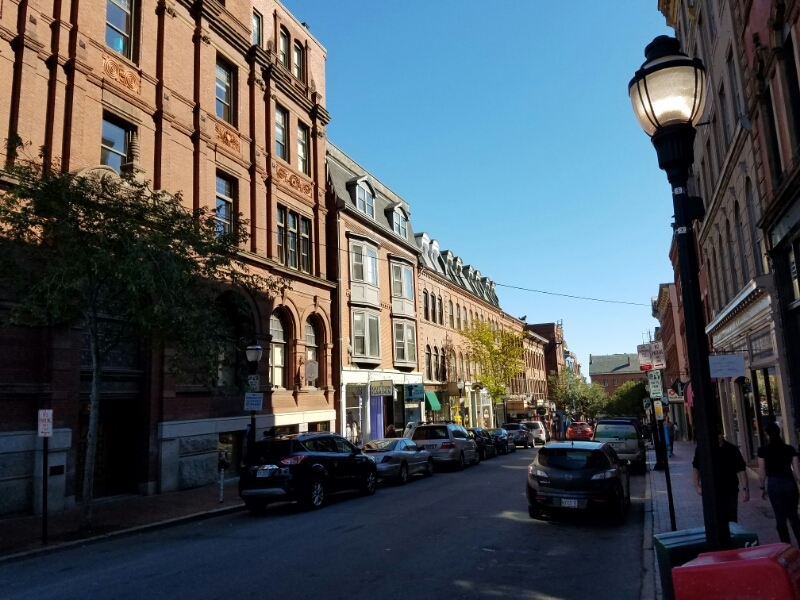 After sampling the beers at Shipyard and walking around the Old Port and downtown areas, we decided to walk off some of the calories and head toward East End. This is a neighborhood of old Victorian style homes that reminded me very much of San Francisco. Brick buildings gave way to wood, and apartments morphed into homes. Some of these homes are so large, they have become apartments though. The Eastern end of East End is the Atlantic Ocean. 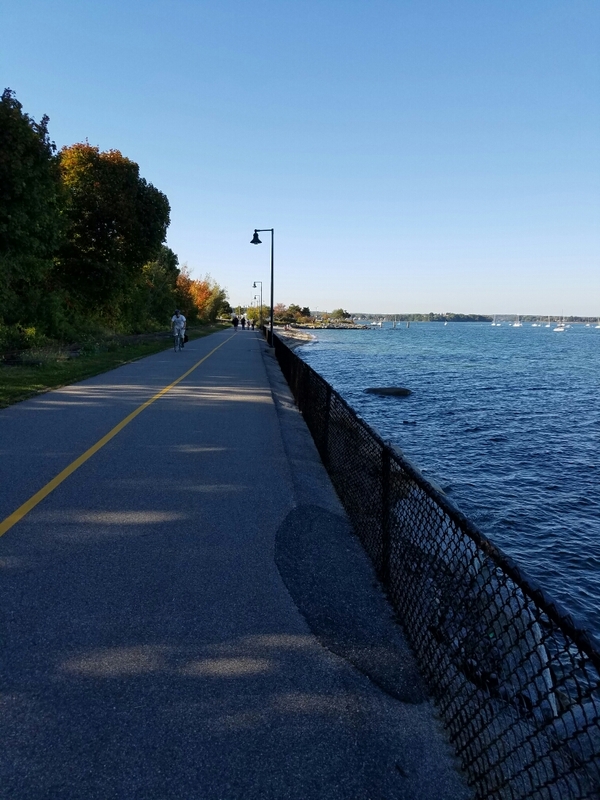 The very edge is a nice park with broad expanses of grass, walking paths, bike paths, a ferry landing, and a mooring for sailboats. We walked along the path, which was far more walkers than riders. 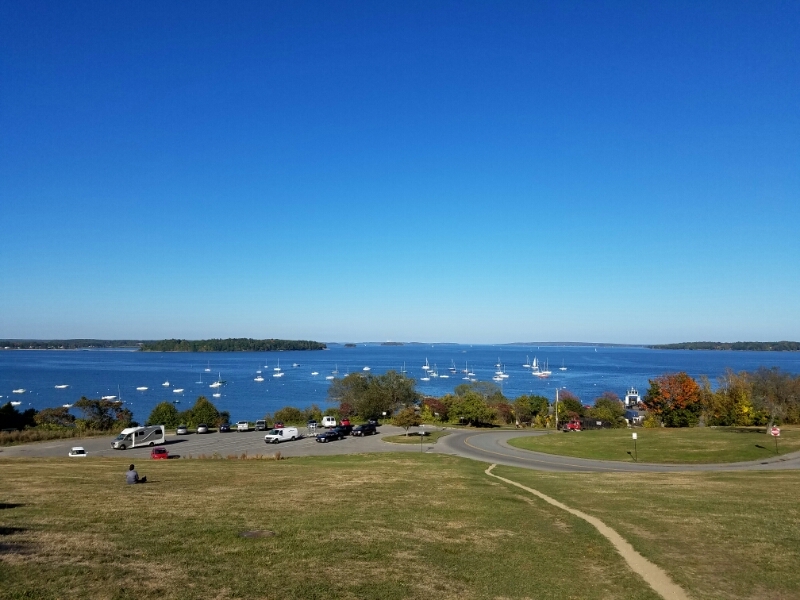 Views of the bay on this crystal-clear day were incredible! Islands off in the distance dotted the horizon. Most of these islands are inhabited and are reachable by ferry boat. 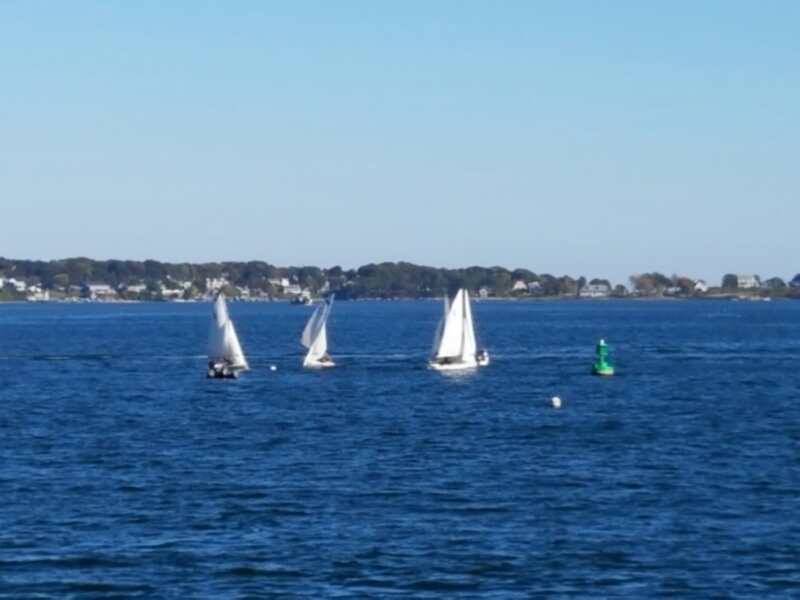 Near the park, a sailing class was underway. We watched the students learning to tack and turn into the wind. Several times I was sure their little boats would overturn, but somehow they never did. Along the park is the Maine Narrow Gauge railroad. In the late 1800s, Maine towns were serviced by this narrow-gauge railroad system. The tracks are only 2 feet apart! It was the narrowest gauge railroad system in the US. 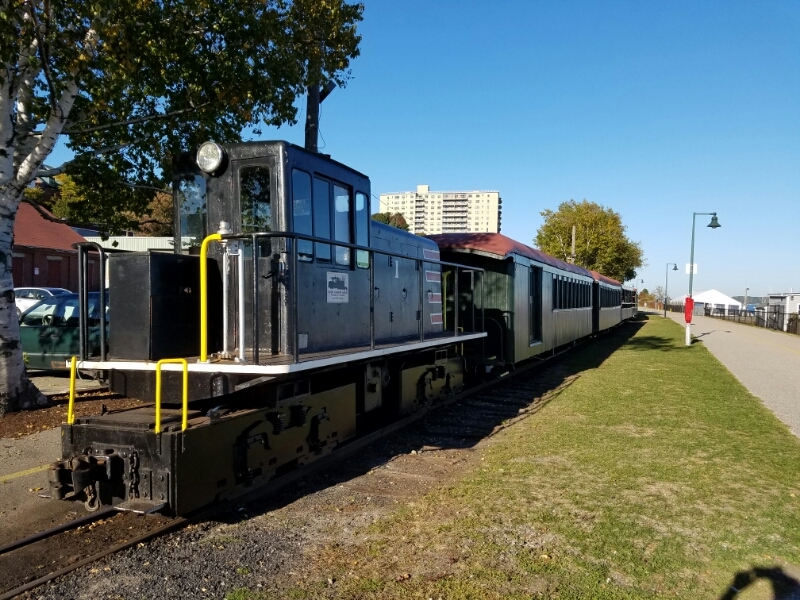 As paved roads and automobiles grew in popularity the train system gradually shrunk until today where just a small part of the railway has been persevered and is operated for tourists who travel 1.5 miles along the East End and back. Our last stop was in Freeport, about 20 miles north of Portland. Clouds had moved in and the weather was damp. 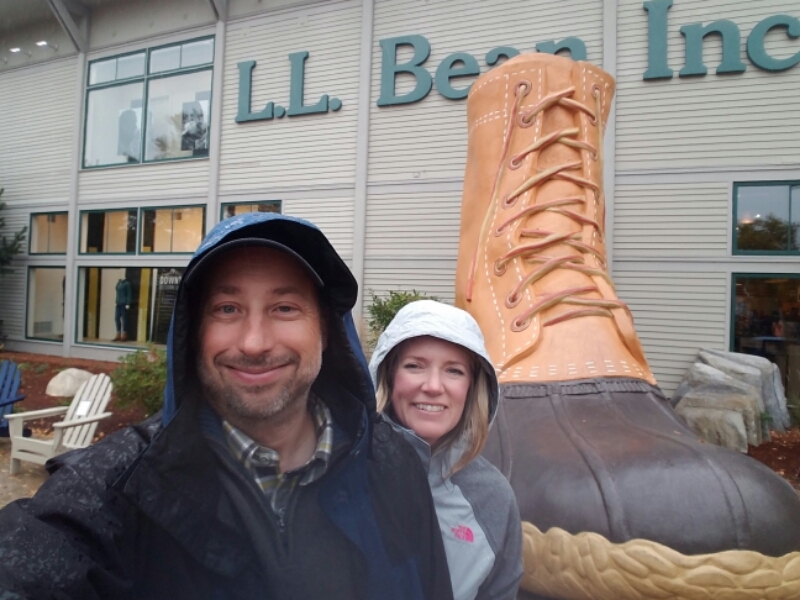 Our destination was the LL Bean store. LL Bean is headquartered in Freeport, Maine. In 1912, Leon Leonwood Bean found himself on a hunting trip in the Maine woods. Weather was typically Maine-ish and he grew frustrated by his cold, wet feet. Surely there was a solution, he thought. Well, something inspired him, and he had the idea to sew a leather boot upper onto a rubber workman’s boot lower. Almost immediately, he sold 100 pairs of the boots. Not long after, the rubber bottom separated from the leather uppers and 90 of the boots were returned. 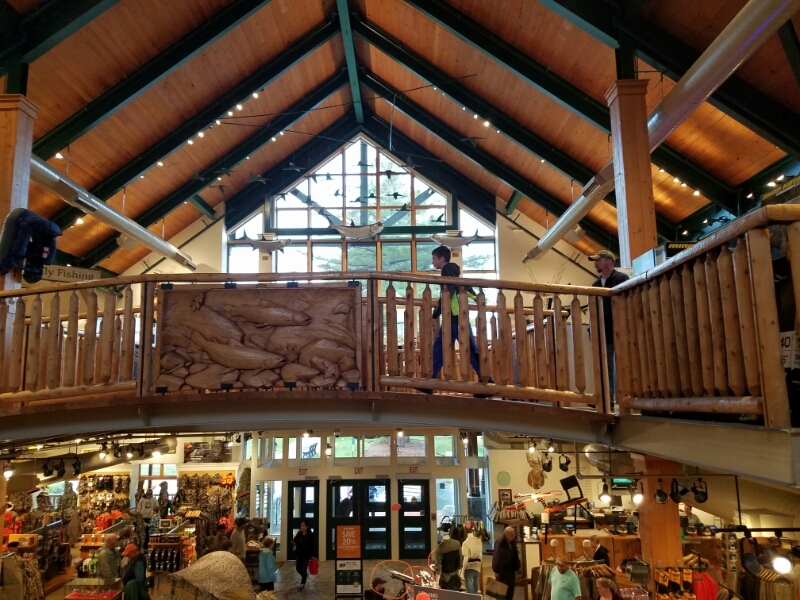 LL Bean, now nearly bankrupt, borrowed money to refund the customers purchases and simultaneously set out to fix the design. He corrected the problem, having learned the importance of personally testing his products, and relaunched the updated boot to great success. Word soon spread of his boots AND his customer service. Bean poured every drop of his profits into advertising and soon his famous catalogs were in mailboxes around the country. He focused on top quality products and top-notch service. 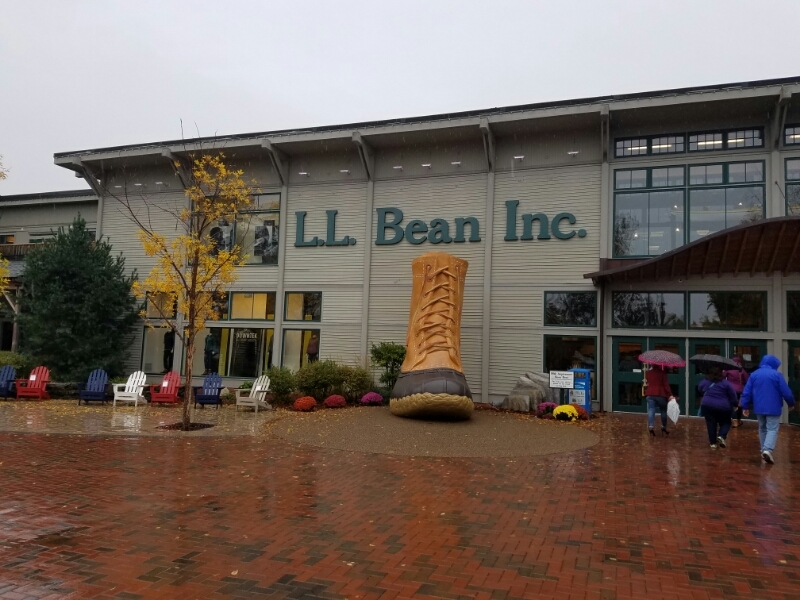 This wining combination made LL Bean a household name and one of the most successful businesses of its kind. Customers were known to drop by his factory in Freeport and he would open the doors any time of the day or night. Today, a massive 3 story store with nearly every item in the catalog is open to the public in Freeport. In keeping with tradition, the store is open 24 hours a day, 365 days a year. To give you an idea how large that boot is, here we are standing next to it! 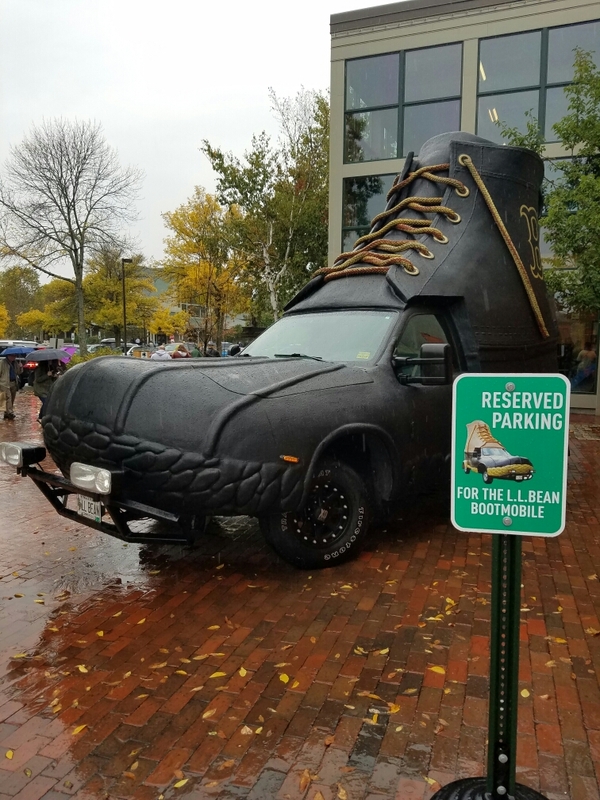 LL Bean also has the bootmobile, a fully road-legal drivable boot that makes appearances at special events. The inside of the store is very impressive. Part hunting lodge, part sports outfitter, part clothing store. 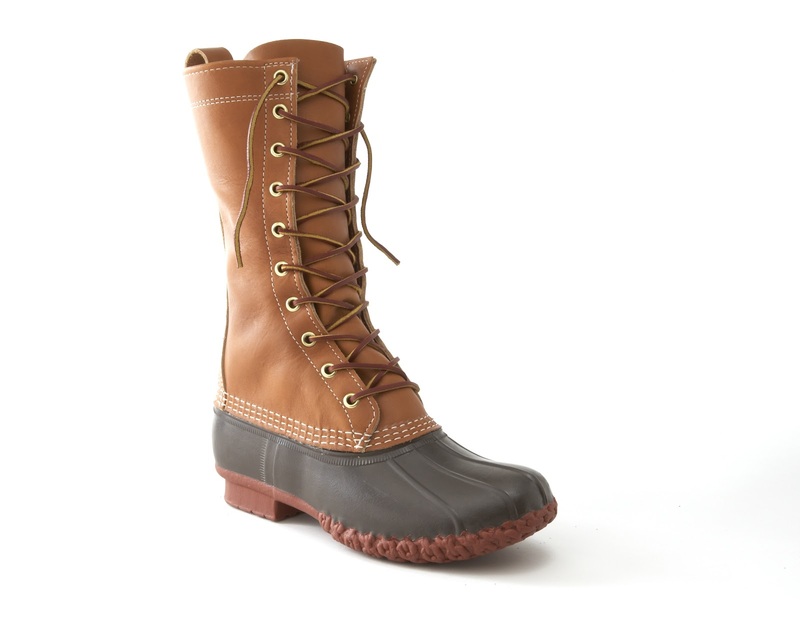 If LL Bean sells it, chances are you will find it in stock. I visited this store back in 1997, and in the nearly 20 years since then Freeport has turned into a very high end factory outlet center. Upscale brands like Ann Taylor, Coach, Vineyard Vines, J. Crew, Ralph Lauren have joined brands like Nike, Old Navy, and Bass to form a downtown area that is essentially all outlet shops. Many tourists from the cruise ships in Portland come north (vs. going south to Kennebunkport) and the stores and sidewalks were busy with shoppers. There didn’t appear to be much else in Freeport, but it would be very easy to spend a day here just shopping at the stores. Overall, I was very pleasantly surprised at the sophistication of this part of Maine. 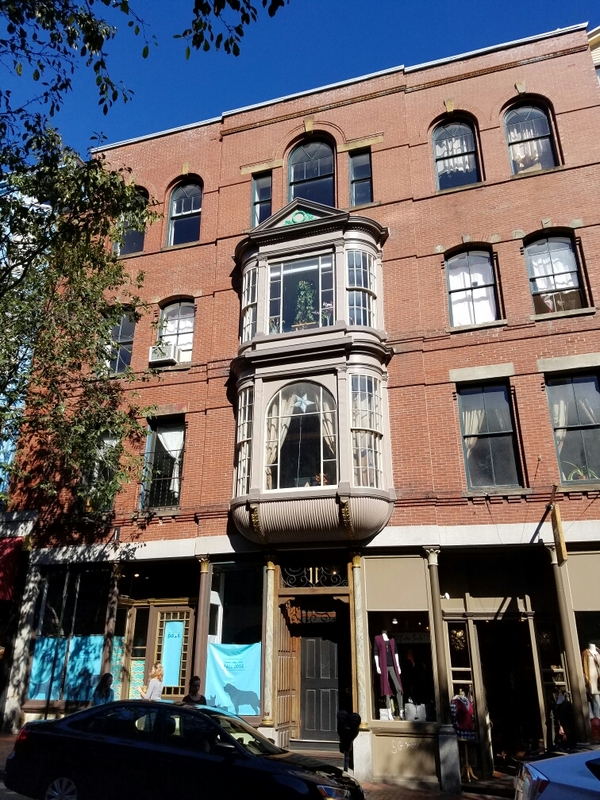 Portland is a great food and drink town with walkable city center and neighborhoods in a beautiful seaside setting. Freeport is one of the highest-end factory outlets I’ve seen anchored by the incomparable LL Bean center. Compared to what I was doing last year at this time, I think I’m holding my own just fine. It has been a wonderful adventure!